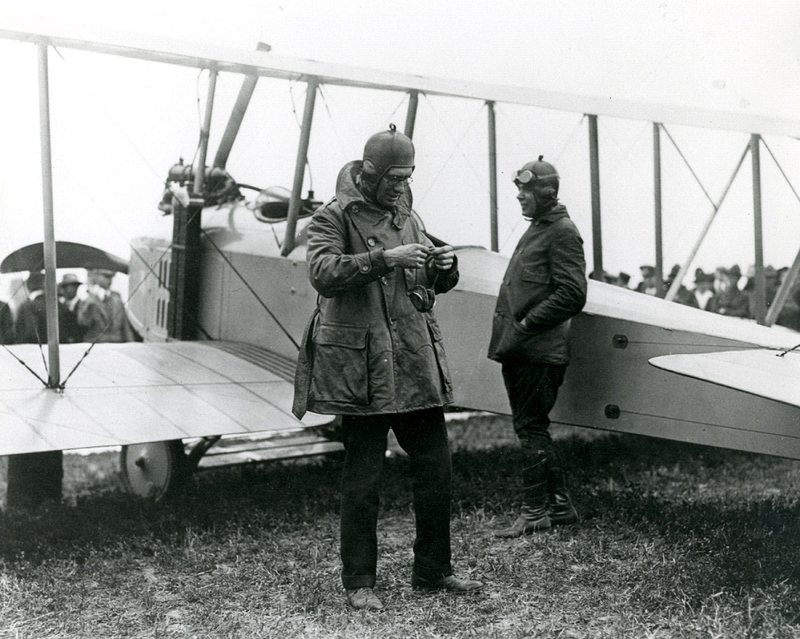 Just 14 years after Orville and Wilbur Wright launched their first flight, the United States War Department established Schools of Military Aeronautics at six universities, including The Ohio State University. The School of Aeronautics opened on May 21, 1917, when the first squadron of 16 cadets reported. They were quartered in Hayes Hall and took their meals in the dining room of the Ohio Union. 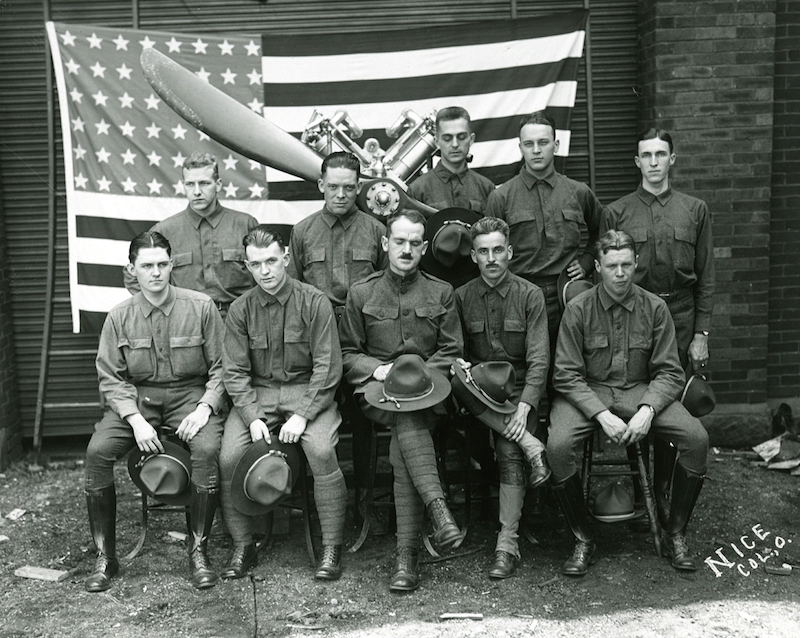 After three weeks of intensive military training and five weeks of theoretical and technical instruction in military aeronautics (signaling, gunnery, airplanes, engines and aerial observation), the first pilot squadron graduated on July 16, 1917. After the first squadron reported for training in May, 1917, a new squadron started training each week until August 31, 1918. The total number of men trained in the School of Military Aeronautics was 1,291, including 219 men who received officers’ training in the School for Balloon Officers. The balloon officers’ school was the only one of its kind in the United States. The men had already received their balloon training at Fort Omaha, Nebraska, or in Texas, and were receiving a supplemental officers’ training course. The aviation laboratory was built for the purpose of teaching cadets the rudiments of aircraft construction and maintenance. 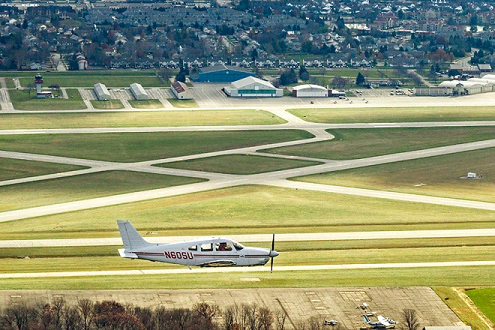 Newly built aircraft were rolled down the hill to the Ohio State University Airport, located in the floodplain of the Olentangy River and the current site of Ohio Stadium. In 1917, Charles F. Kettering became the first member of the Board of Trustees to arrive at the University by airplane for a trustees’ meeting. He landed at the landing field on campus, west of Neil Avenue, after a flight from Dayton, Ohio. Kettering was an American inventor, engineer, businessman, and the holder of 140 patents. He was also a founder of Delco, and was head of research for General Motors for 27 years. 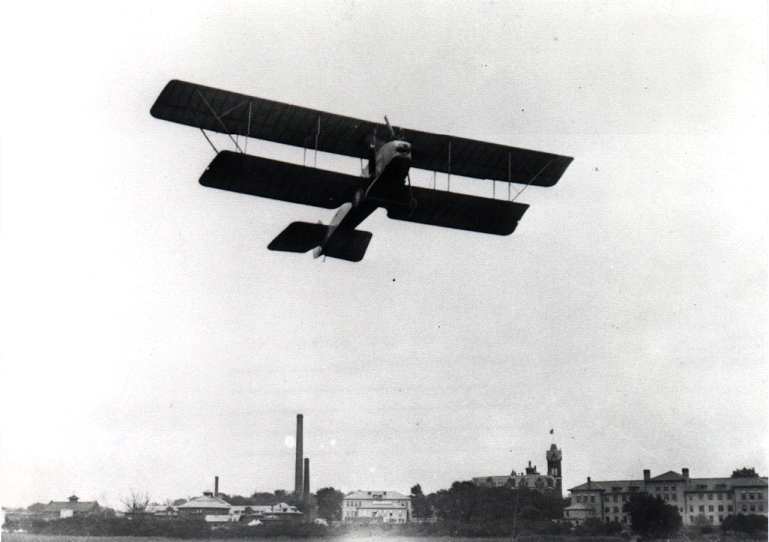 After World War I, aviation became dormant on the campus for a time. At least one event, however, served to remind Ohio State that aviation was still close at hand. 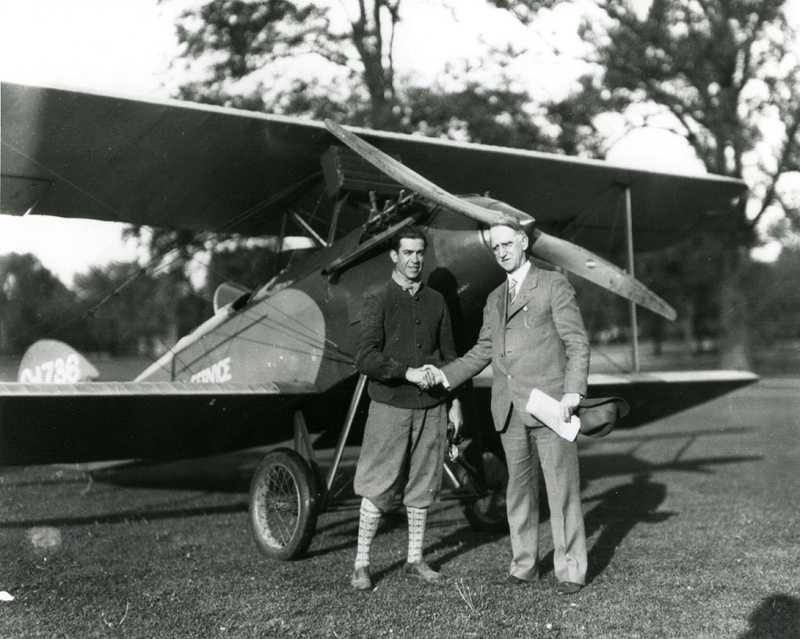 In celebration of Engineer’s Day, May 24, 1928, the holder of the world’s altitude record landed his Waco biplane on the Oval of the Ohio State campus. The dean of the College of Engineering, E.A. Hitchcock, greeted Lieutenant MacReady, who was dressed in knickerbockers. The campus newspaper reported that the pilot had no difficulty landing on the Oval, a couple of hundred yards of “front lawn” reserved for campus activities at Ohio State. However, on takeoff, the plane almost became tangled in the trees. MacReady’s altitude record in 1928 was 38,418 feet. On Engineer’s Day in 1928, Dean E.A. Hitchcock greets Lieutenant MacReady on the Oval. In 1939, the university took part in the Civilian Pilot Training Program, which started that year under the sponsorship of the Civil Aeronautics Administration. Although its purpose was to foster private flying, it quickly became tied to the war effort with the onset of World War II. On December 7, 1941, the program changed its name to the “Civil Aeronautics Administration-War Training Service.” In December 1942, the university was designated as a Naval Aviation Cadet training center. With the success of the Civilian Pilot Training Program, Ohio State’s Board of Trustees took action to solidify Ohio State’s future as a leading aviation program on November 9, 1942. First they created a School of Aviation with undergraduate curricula in five fields: aeronautical engineering, meteorology, air transport, photogrammetry, and aviation psychology and physiology. The first flight instruction offered by Ohio State was during the spring quarter of 1945. The School of Aviation was also instrumental in early aviation research. Research projects included engine design problems, fuel synthesis and testing, pilot performance, communication between ground and aerial crews, and high altitude flying. Research projects concerned with the training of personnel to operate airplanes were of notable achievement. One such project determined criteria for flight competence or the selection and training of aircraft pilots. Another project researched the instant recognition of aircraft and surface ships, both friendly and enemy. Other projects researched the agricultural applications of aircraft. A key factor in the early growth and success of the School of Aviation was the Ohio State University Airport, built in 1942. 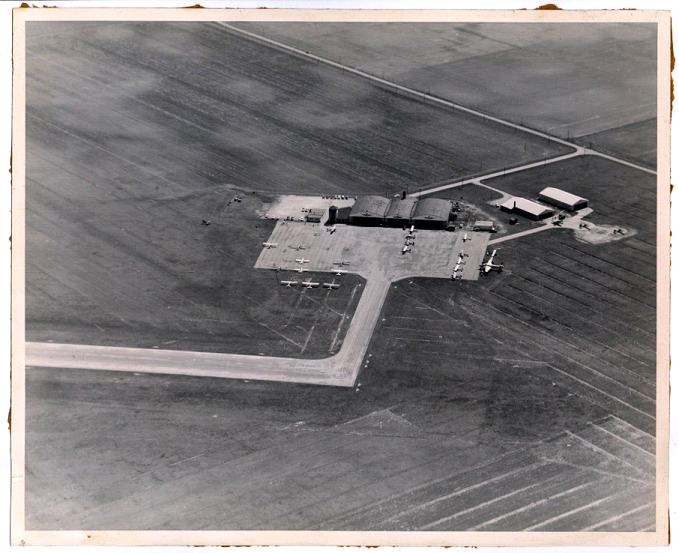 Described at the time as “an excellent flying field,” the airport provided flight training, instructional, and research opportunities. In 1956, the School of Aviation was transferred to the College of Engineering, and in February 1963, it became the Department of Aviation. Along with its new departmental status came a new program of instruction, which improved and strengthened the course structure, recognizing that individuals from all academic disciplines have contributed to the development and growth of aviation. The Department of Aviation, therefore, began offering courses adjunct to other major curricula of the university. The department supported the university community by offering courses to students who wished to relate aviation to their area of study. This supportive role continued until 1982 when the Department of Aviation became a degree granting program within the university. The department granted more than 6,000 Bachelor of Science or Bachelor of Arts degrees through the College of Engineering, the College of Arts & Sciences, and the Fisher College of Business. In 2011, the Department of Aviation became the Center for Aviation Studies (CAS). The center continues to sponsor dozens of research projects oriented toward basic and applied research and development in aviation, with an emphasis on flight instruction and pilot certification. CAS success is being noticed by Ohio State, and by organizations nationally and internationally. To date, over 6,500 students have graduated from, or received their flight education through the University’s aviation program, including elected officials, business leaders, and other prominent individuals. 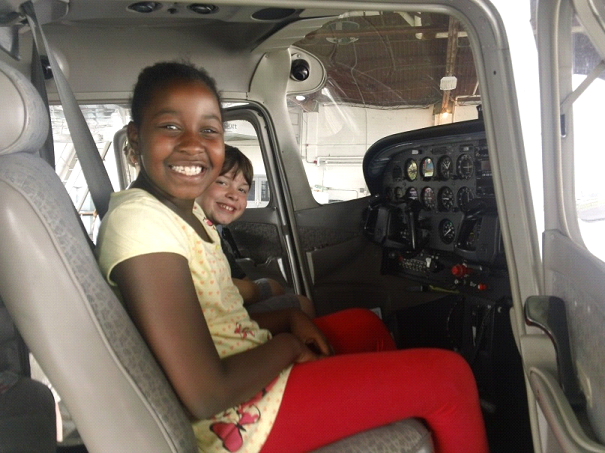 The Center for Aviation Studies educates more than 200 students each semester in all aspects of the air transportation system, conducts active research in issues currently facing the aviation industry, and offers numerous outreach programs for kids of all ages. Today, the Ohio State continues to be Ohio’s center of excellence in aviation, preparing students to lead, develop, and operate a safe and efficient global aviation system for the 21st Century. Research at the CAS has recently expanded. In late September, the CAS hosted the first annual meeting of PEGASAS, the FAA’s Center of Excellence for General Aviation. More than 70 attendees representing multiple universities, the industry, and more than a dozen high level researchers from the FAA participated in a variety of research forums, presentations, and tours of our facilities. In the coming months, expect to see the outcomes of developing research, ranging from the evaluation of angle of attack indicators in aircraft, to perhaps airfield pavements that heat themselves through nanotechnology. These and a variety of other projects are part of the CAS mission to enhance aviation research at the university. Outreach at the CAS is also in growth mode. In July 2013, the center proudly made an appearance at the Oshkosh AirVenture, otherwise known as “The World’s Greatest Aviation Celebration”. At that time, the CAS was provided a donation from the Austin Knowlton Foundation to create the Career Eagles program, a partnership with EAA to expand programs for middle and high school aged youth that encourage careers in aviation.